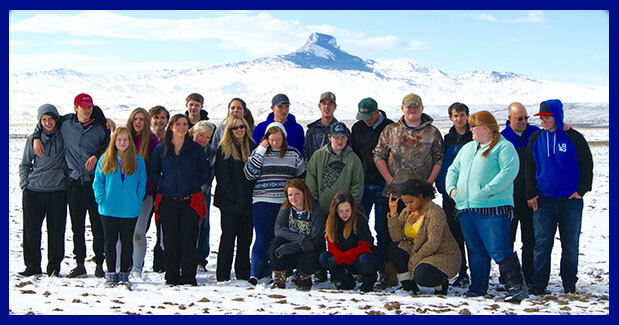 Heart Mountain Academy is a small school with a caring, family-like environment where our students receive the individualized attention they need to achieve success at school. HMA is a place for people who want to learn. We are a home away from home, an open door, and a place of rigorous study where students earn a diploma that matters. We do what it takes; we do no harm; we set no limits on your potential to learn. We do this like a family, and we love what we do! We feel honored to be your partner in education and will support and guide you as you begin this amazing transformation into adulthood. During your time at HMA, you will begin to accept new and greater responsibilities and enjoy more freedom in how you spend your time. Your family and your instructors will depend on you to accept these freedoms responsibly. As you progress, you will need to make important choices and stand accountable for those choices. We will help you achieve academic success, but our partnership does not stop there. We are your advocates; we care about your physical and emotional safety, and we will support you as you develop the skills and characteristics to behave as a caring, confident, and ethical human being. Show your school pride and support our school when you purchase items from the Spirit Store.